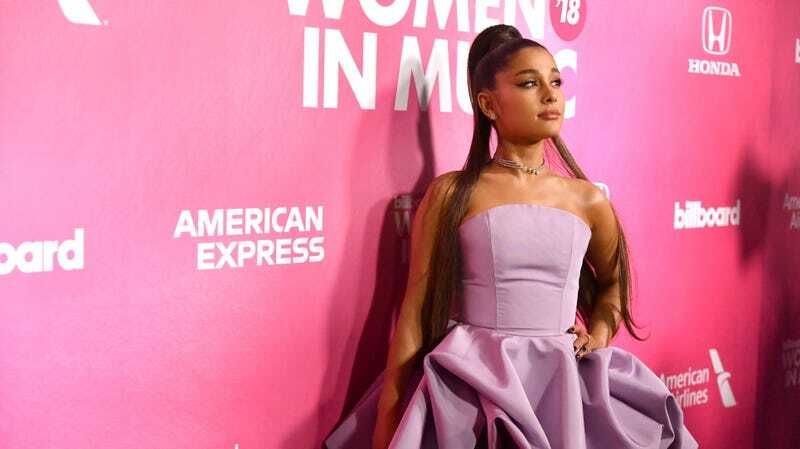 Ariana Grande has achieved a level of pop-stardom that we, frankly, would not have believed possible back when she was getting in trouble for licking donuts, but that was before her whirlwind romance with Pete Davidson, the undeniable success of “Thank U, Next,” and the news that she’s headlining Coachella. Now, as reported by Pitchfork, Grande has finally shared some new information about her new album Thank U, Next, specifically the cover art and the tracklist. There’s really nothing to say about either, as they’re just things that exist, but Ariana Grande is a big deal now and if we don’t pay attention to what she does then we’ll be left behind. Actually, there is something we can say about the tracklist: It has a lot of lower-case text, which is pretty cool in a “too cool for big letters” way. Thank U, Next will be released on February 8, which is the same day as that Roma album we just wrote about. You can see Grande’s album art and tracklist (via Instagram) below.